ABA Flood Relief 2014…..Team passing by Junction where River Chenab & Jhelum combines. This is the point where flowing water converts to giant flood. 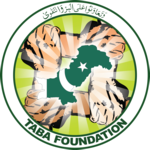 TABA Flood Relief 2014…..Team passing by Junction where River Chenab & Jhelum combines. This is the point where flowing water converts to giant flood….watch.